A post graduate in Botany, Mr. Hem Pande joined Indian Administrative Services (IAS) in 1982 and served during 2016-17 as Secretary to the Government of India in the Department of Consumer Affairs. Mr. Pande also holds Master’s degree in Business Administration (MBA) from Swinburne University of Technology, Melbourne (Australia). He has 36 years of experience as a civil servant and three years of teaching in a University. He has worked both in the Government of India and in the State of West Bengal. He has an outstanding leadership and project management capability with impeccable administrative and managerial skills. During his work with the Government on different assignments, and at different levels, he was inter alia involved in planning, managing and monitoring of projects in areas of Food Security, Consumer Affairs, Ecology and Environment, Mines and Minerals, District administration and Darjeeling Gorkha Hill Council. He has strong presentation and communication skills with experience in workshop facilitation, conducting stakeholder consultations, delivering high-level conference presentation and leading preparation of reports and research papers. His nurturing in IAS for 35 years from a small rural subdivision in West Bengal to the position of Secretary in the Government of India provided him opportunity to lead organisations/ institutions that needed quick decision making with the help of multi-disciplinary teams of experts and professionals. He has been a passionate ‘doer’ throughout his career as a civil servant; objective and quick decision making and timely delivery of decisions so taken is in his DNA. As Secretary Consumer Affairs, he was inter alia chair of an inter-ministerial group on price stabilisation of essential commodities that procured 1.5 million tonnes of pulses for the first time in the country at MSP. He was responsible for bringing out direct selling guidelines in September 2016 thus heralding a new chapter in direct selling in India. 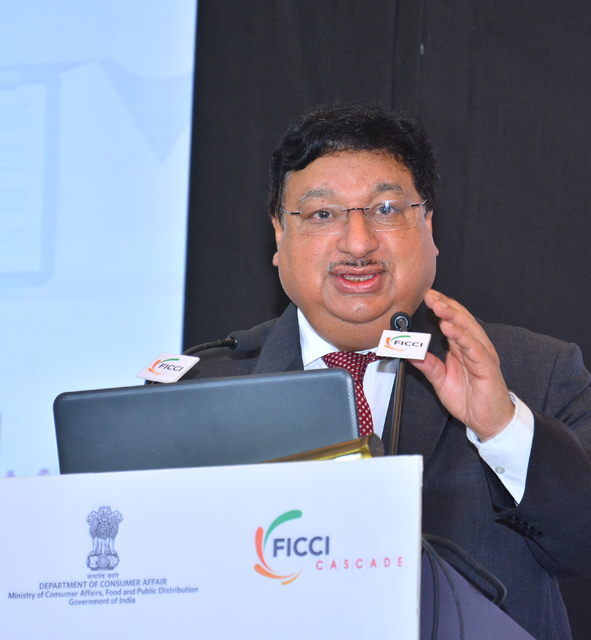 He was also closely associated with FICCI CASCADE.